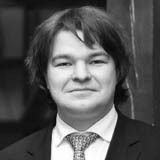 Sergey handles all types of international disputes: he represents clients in international commercial arbitrations, cross-border litigations and before international courts, including the International Court of Justice. Sergey is seating as arbitrator and appearing as expert witness on Russian law and practice with increasing frequency. In his practice Sergey relies on years of experience with biggest law firms and as in-house litigation counsel at a major construction company. Representing a supplier of high-tech services in a dispute with the client (SCC Rules). Acting in a team represented the seller of a Russian retail dispute in the dispute concerning warranties and representations (LCIA). Representing a Russian airline in a dispute with the lessor of several aircraft (LCIA). Advising the client on evidence gathering exercise in the context of one of the largest disputes before the High Court of England and Wales concerning shares in a Russian business. Advising the client on contesting jurisdiction of the High Court of England and Wales over a dispute arising out of insolvency of several Russian companies. Representing CJSC Efirnoe before the Presidium of the Supreme Commercial Court in a dispute concerning setting aside of an ICAC at the Russian CCI award (the court reinstated the award in favour of the client). Representing a major shipbuilding company in proceedings concerning recognition and enforcement of an SCC award in Russia. Advising clients on various issues of recognition and enforcement of multiple LCIA and SCC awards in Russia and ICAC at the Russian CCI awards abroad. Advising the Russian Federation in the case commenced by the Republic of Georgia before the International Court of Justice. Representing parties before the European Court of Human Rights concerning right to fair trial, right to property, freedom of speech and assembly and private life. Advising several Russian companies on potential investment claims against States in Asia and Africa. Advising owners of major real estate developments in several CIS states on structuring their investments to obtain benefits under the bilateral investment treaties. Advising sanctioned individuals and companies on available remedies and ways of challenging sanctions, as well as on conduct of their operations in light of sanctions against them. Advising various businesses, including suppliers and service providers, on interactions with sanctioned persons. Taking part in creation of sanctions’ compliance programs. Several related disputes between employer and contractor concerning delay as well as condition of the construction site and quality of drawings provided by the employer (co-arbitrator). Dispute between the general contractor and a subcontractor concerning termination of the contract due to delay and as to quantity of works performed (co-arbitrator). Dispute between client and contractor concerning delay and quality of drawings provided by the client (sole arbitrator). Dispute between a grid company and its client concerning payment for the transmission services (co-arbitrator). Dispute between parties to an R&D contract (co-arbitrator).